A Slug is a colorful creature that appears in Yoshi's Story. Slugs look like they are made out of slime or Graffiti. They also have two bulging eyes. 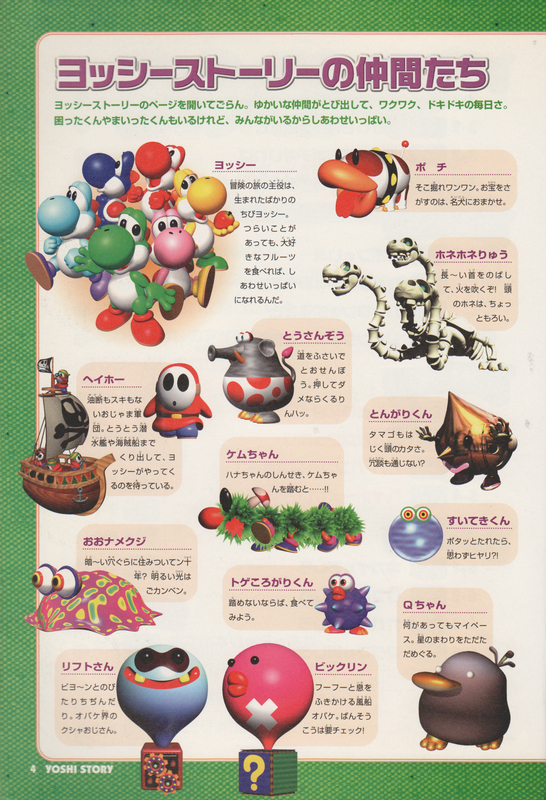 In Page 2: Cavern, Yoshi can go into a pot and enter a room with a few Slugs crawling up, down and horizontally on the walls. Slugs also appear in Stage 6-4: Magma Castle. It is difficult to defeat Slugs in combat. Many eggs are required to destroy a single Slug, as they must first be stunned by eggs exploding in front of their eyes before they can be damaged. However, once Yoshi does destroy the Slug, he will get a special prize. The artwork depicts them slightly differently from their in-game sprite in which they are depicted with red and yellow pupils in the artwork, but have green pupils in-game. Slugs are one of the few mini-bosses in the game. This page was last edited on October 11, 2018, at 09:07.